This current article is the second article in a series of two articles. In the former article, we review in high level the components and the concepts that involved throughout the process of importing PST files to Exchange Online mailboxes.The current article, serve as a step by step guide which includes a detailed description of each step that is required for implementing the task of importing PST files to Exchange Online mailboxes. In the following section, we review the “step by step” process of the scenario in which we want to import 2 PST files to a specific Exchange Online mailbox of a user named – Bob. 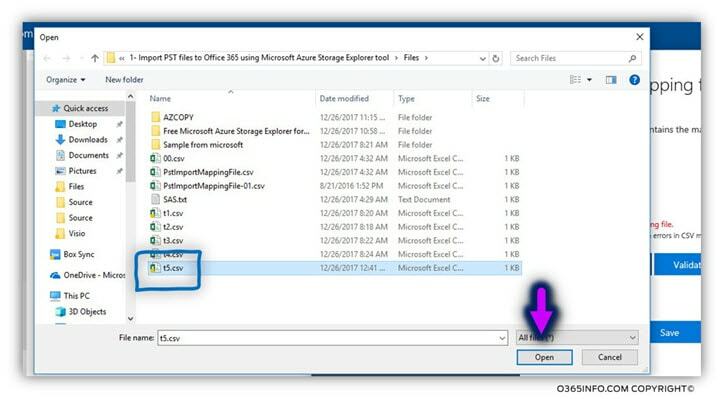 Technically speaking, we can store the organization users PST file on every host whom we would like as long as the Microsoft Azure Storage Explorer utility, will be able to access this host. 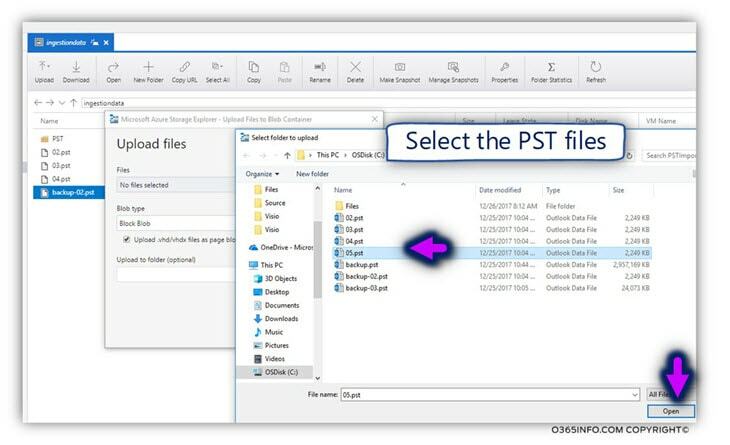 If we store the PST files on a specific Network server, we need to share the folder which contains the PST files. 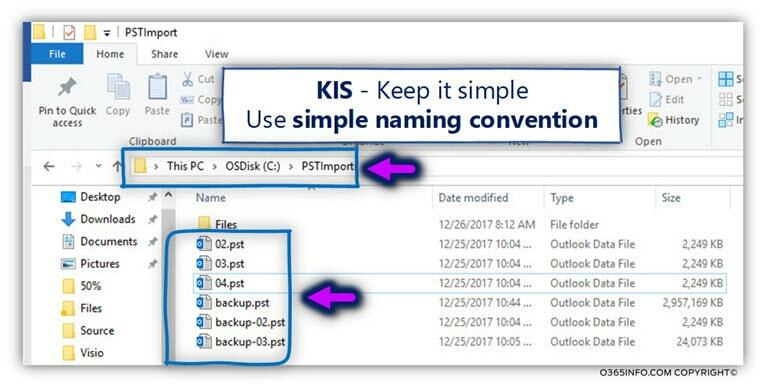 Regarding the folder name who stores the PST file and regarding the PST file names, I recommended using a simple naming convention. 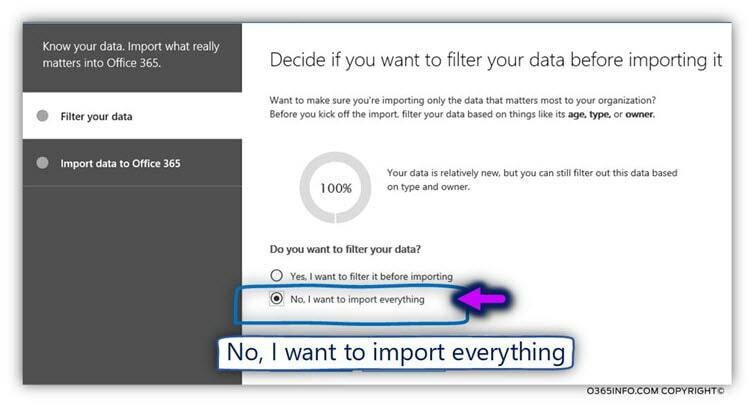 The purpose is to prevent in advance any “import issues,” that related to a problematic PST file name. In our example, I create a folder named PSTimport on drive C:, and copy all the PST files to the specified folder. 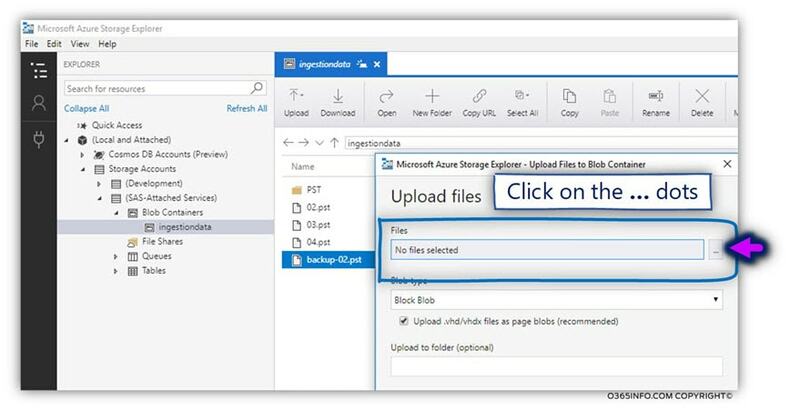 Before we can start to run the PST file import job, we need to get the URL address of the Azure store which will “host” the PST files that we will upload to the cloud. 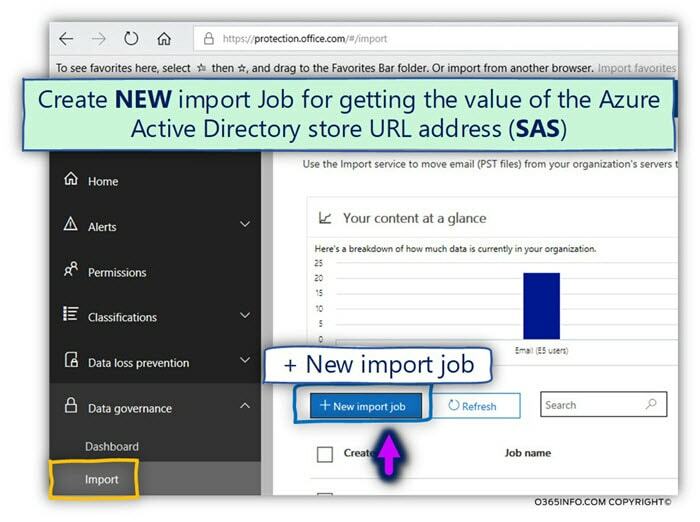 To be to get the required URL address value, we will start a NEW PST file import job, only for getting the value of the SAS URL address (we will not complete this specific PST import job). 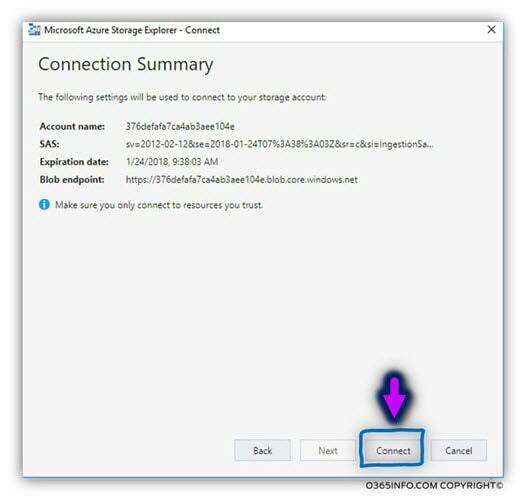 After we get the required SAS URL value, and later, we will use this address as part of the configuration settings that we need to set when using the Azure Storage Explorer utility. 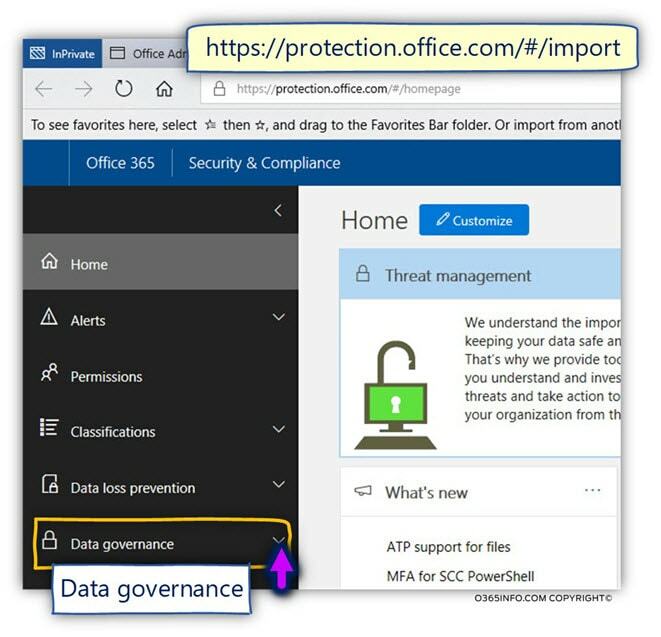 We can access the Office 365 Security & Compliance portal by using the URL address (https://protection.office.com/#/homepage ) or, from the Office 365 admin portal. 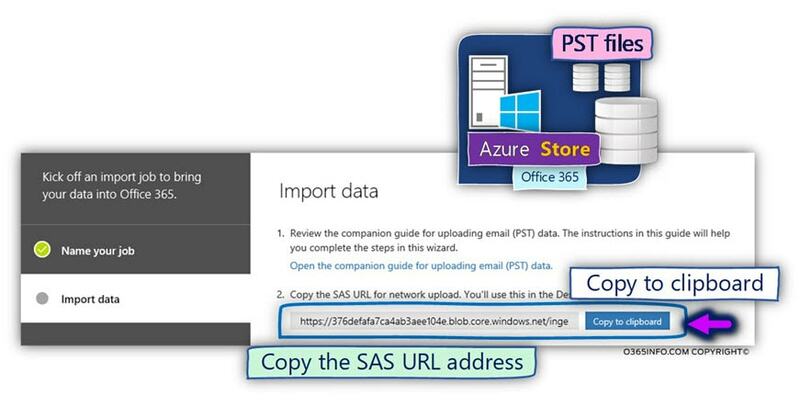 In the next step, we will start the import PST wizard, just for getting the value of the SAS URL address. Type a name for the NEW import PST job. Quick reminder, keep it simple, select a simple name without capital letters, spaces, special characters and so on. After a couple of seconds, the SAS URL address is generated. My advice is to save the value of the SAS URL in a file so, in the future, we will be able to easily get this value. 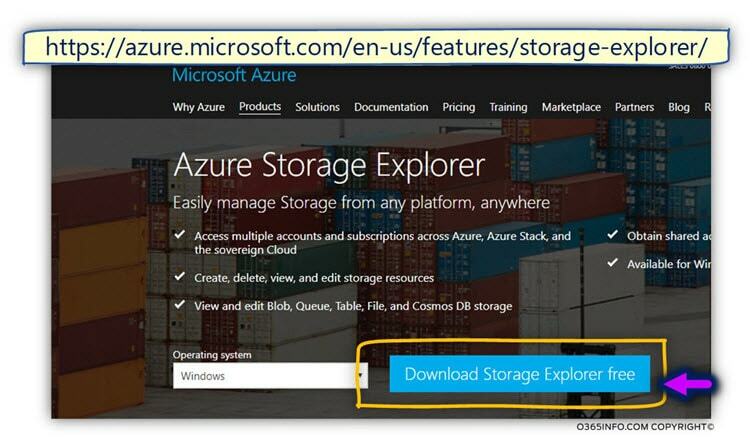 Task 1 – download + install the “Azure Storage Explorer” utility. 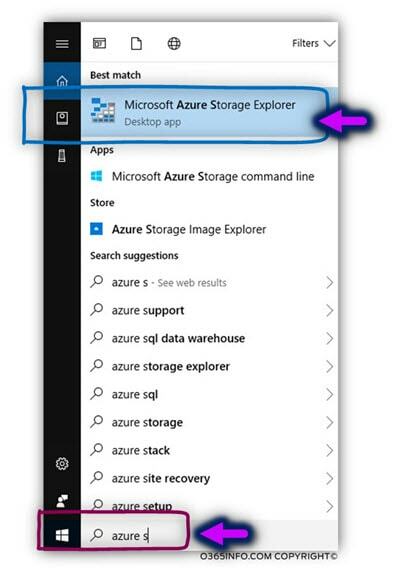 Download and install the Microsoft Azure Storage Explorer tool. In this step, we will need to use the value of the SAS URL that we got in the former step. In the following screenshot, we can see that the “Azure Active Directory store” utility successfully manages to connect to my Azure dedicated store. 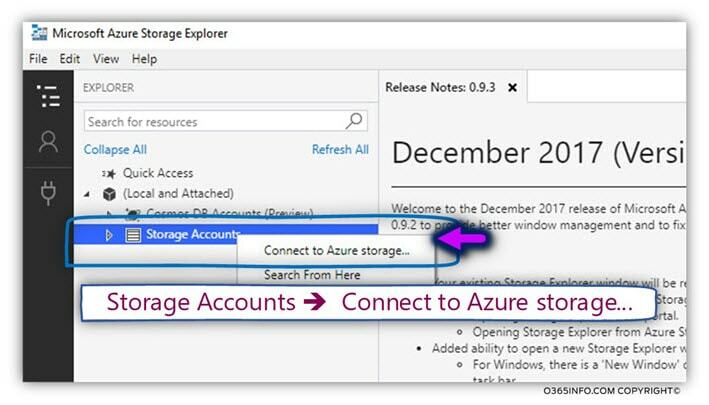 The “Azure Storage Explorer” utility will help us to upload the required PST files to the Azure store + serve as a “viewer” that enables us to view the content of our Azure store. In the following screenshot, we can see the PST files that were uploaded to the Azure store. In this phase, we assume that you already finish uploading all the required PST files to Azure store. 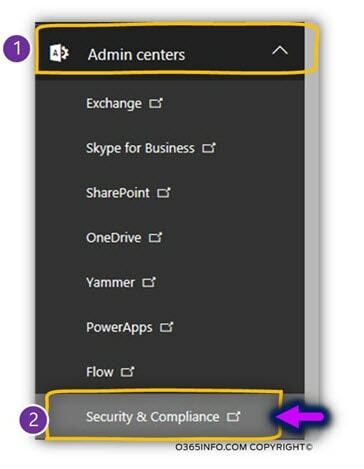 Now, we are going to create a new PST import job, using the Office 365 Security & Compliance admin. 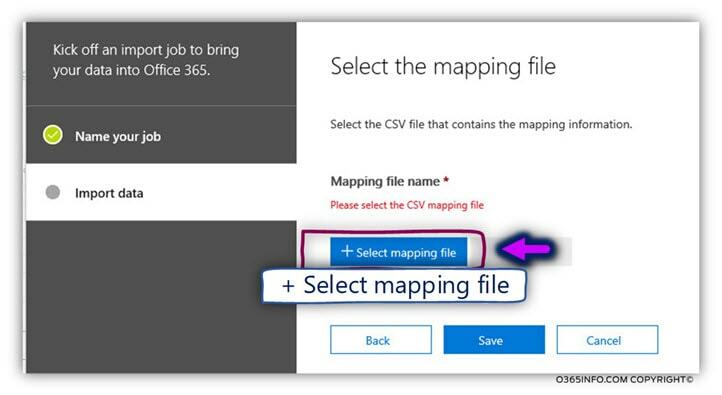 Upload the CSV file – the import PST job will use the CSV file that we provide as a “map file.” The CSV file includes information about the PST files that we uploaded to the Azure store + the name of the Exchange Online mailboxes. The PST import job will “pull” each of the PST files that mentioned in the CSV file, and import this PST files to a specific Exchange Online mailbox. 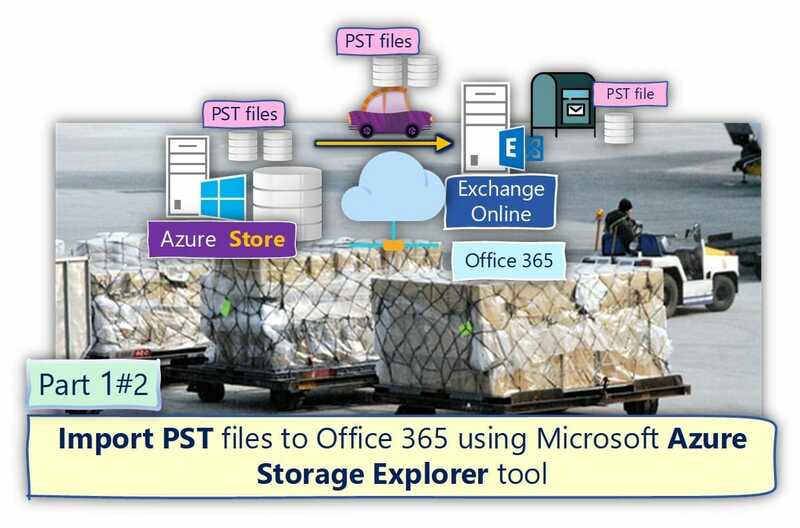 Import the PST files from the Azure store to the appropriate Exchange Online mailbox. 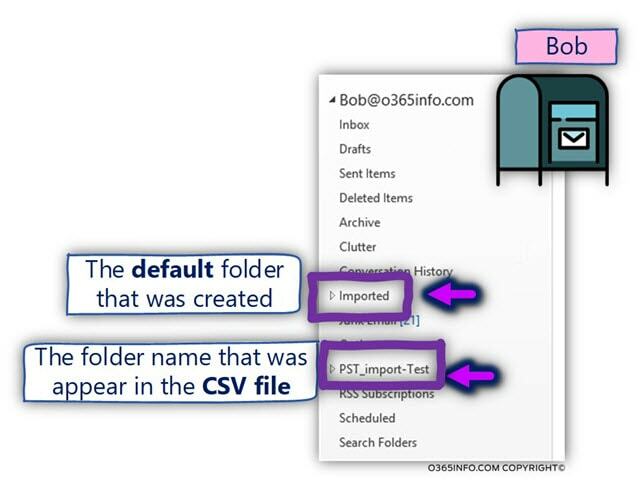 In the following screenshot, we can see an example to a CSV file that we use for “instructing” the Office 365 import PST job about the specific PST files that we want to import to a specific Exchange Online mailbox. Generally speaking, the CSV file can include a couple of “column headers” that we can use for various scenarios. In our scenario, I would like to emphasize only the most important columns. The “Exchange” value, is the default value for a scenario in which we import PST files to Exchange Online mailbox. In other words, add this value for each row and don’t “mess” with this value. This is the name of the PST file that the Office 365 PST import job except to find in our Azure store (the PST files that were uploaded in the former steps). This is the name of the Exchange Online mailbox for which the PST file will be imported. This is the name of the folder that will be created in the “destination Exchange Online mailbox,” which will contain the imported PST file (mail items). 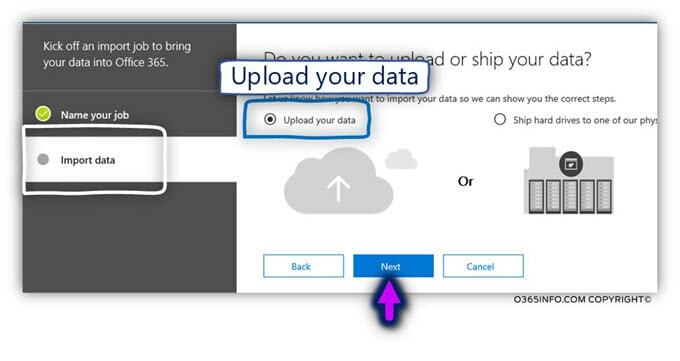 In case that we don’t provide any name, the Office 365 PST import batch will automatically create a folder named – “Imported” in the destination Exchange Online mailbox, which will store the content of the PST file. A PST file named pst will be imported to the Exchange Online mailbox of a recipient named – [email protected] Because we didn’t provide any folder name, the PST file will be imported into the default folder that will be created – the – “Imported” folder. 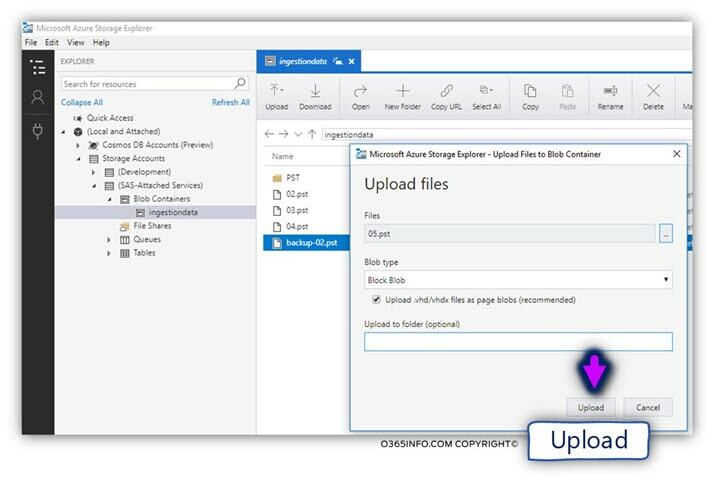 A PST file named pst will be imported to the Exchange Online mailbox of a recipient named – [email protected] Because we provide a folder name (PST_import-Test), the Office 365 PST import batch will create this folder that will store the content of the imported PST file. 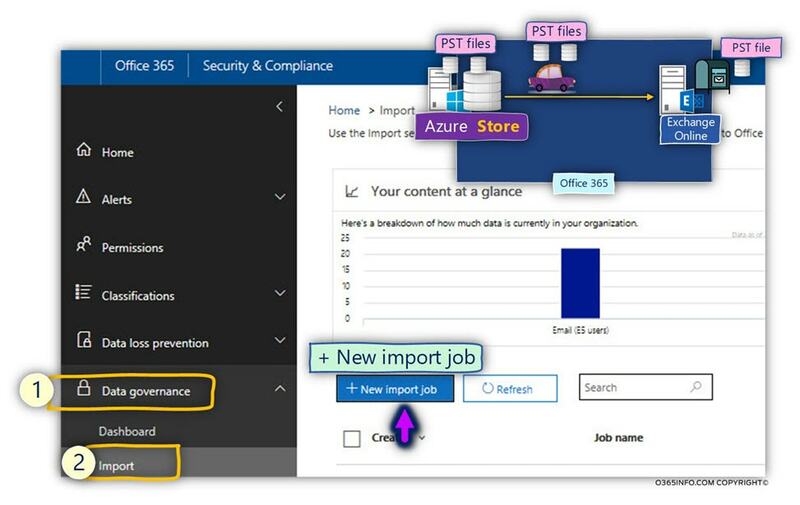 In this step, we use the Office 365 security & compliance admin interface for creating a NEW import PST batch, that will import the PST files located in the Azure store to Exchange Online mailboxes based on the “instructions” in the CSV file. 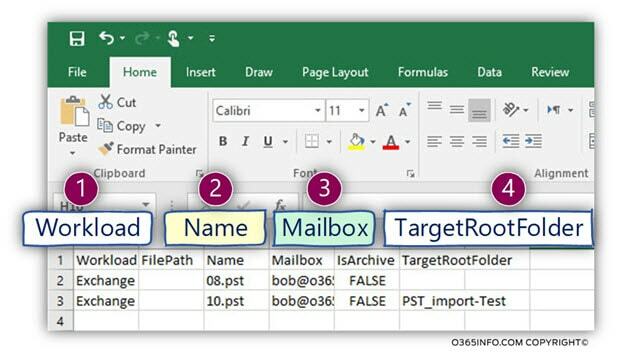 In the Name* text box provide the batch name (quick reminder, keep the name simple, no special characters, etc.). 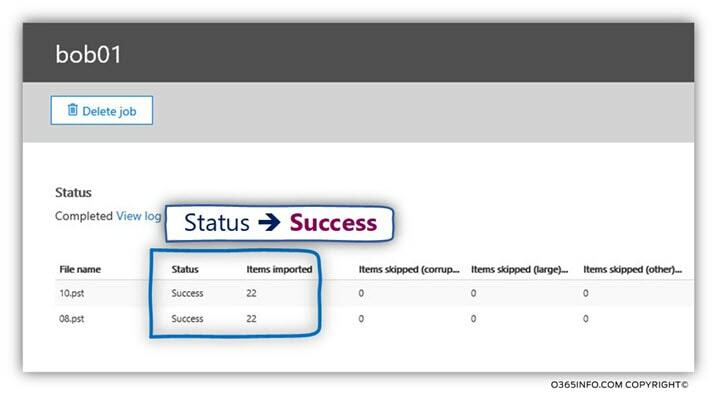 Locate the required CSV file that was created in the former step. 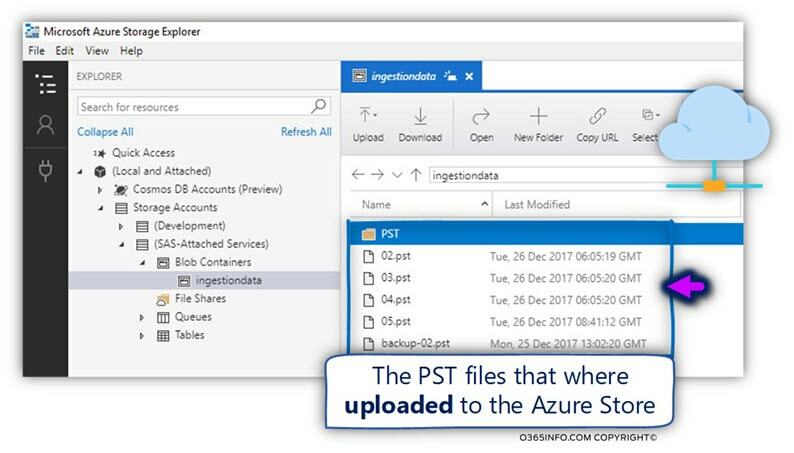 Just a quick reminder, the CSV file will need to be prepared by you and contain the list of PST files that were already uploaded to the Azure store + the name of the Exchange Online mailboxes which will “host” a specific PST file from the list. 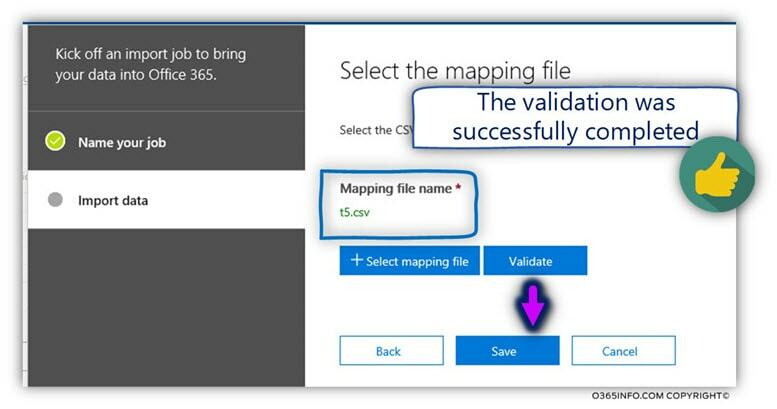 In this step, the Office 365 import PST batch will need to verify if the CSV file syntax and structure are valid. 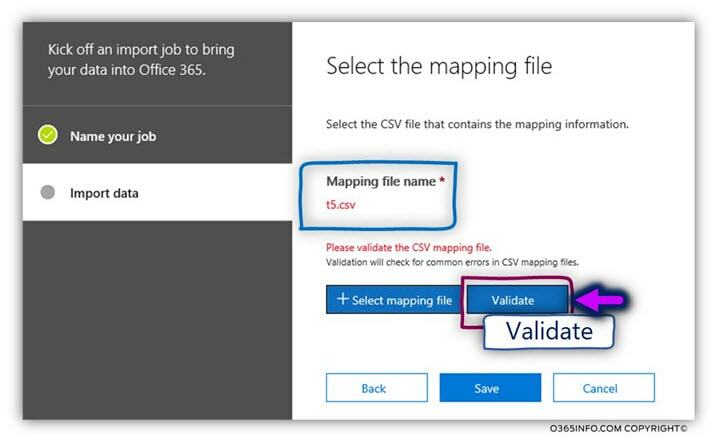 In the following screenshot, we can see that the Office 365 import PST batch “inform” us that the CSV file is proper and valid. The last wizard window informs us that the “import request” was successfully “registered.” Notice that at the current time, the PST import process will not start! 4. Start the PST import process. In this step, we actually start the PST import process. Office 365 import PST batch, will need to verify if he can locate the PST file in the Azure store and perform additional background checks. 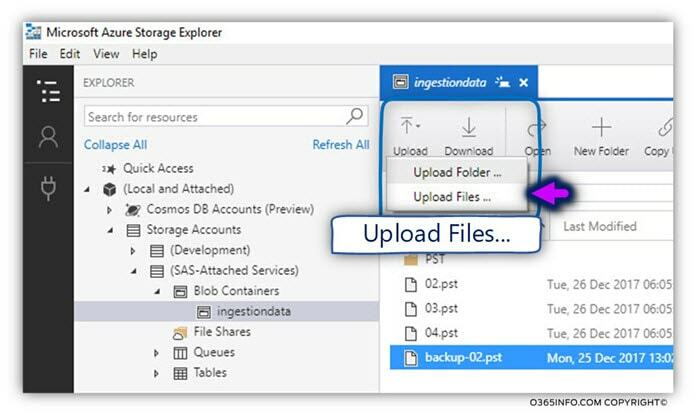 Quick reminder, in our scenario we don’t want to filter folders from the PST file\s. 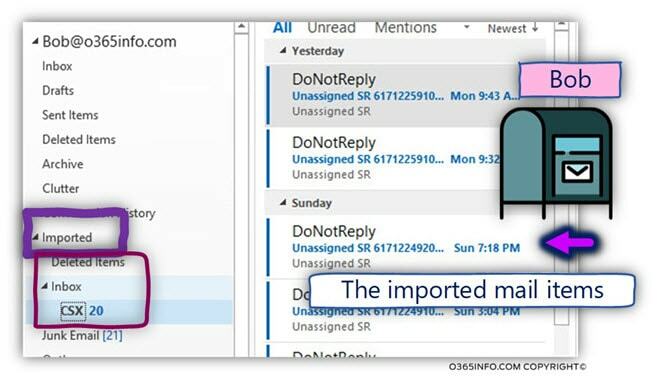 Verify that the import PST file to Exchange Online mailbox was successfully completed. In this section, we want to verify that the “PST import batch” manage to successfully import the two PST files to Bob’s mailbox. In the following screenshot, we can see Bob’s mailbox. As mentioned, the “PST import batch” is configured to automatically create this folder in the Exchange Online mailbox. 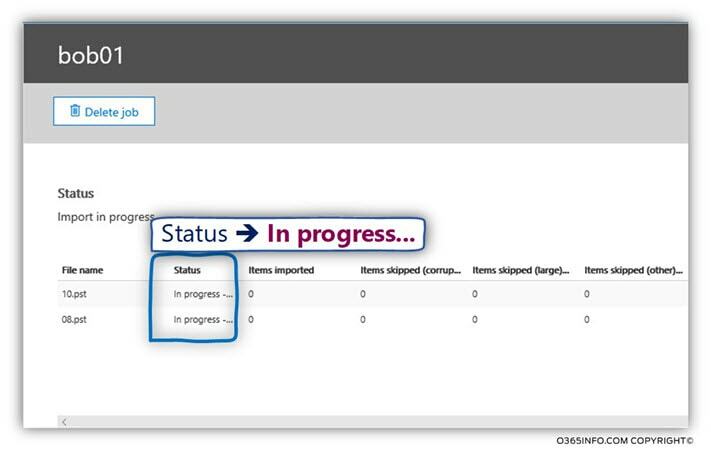 The import folder will serve as a container for all the PST files that we import to the specific Exchange Online mailbox. In the following screenshot, we can see the content of the imported folder. We can see that the PST file that includes mail folders, and mail items were successfully imported. What a fantastic post! This is so chock full of users information and the resources you provided helped me a lot. 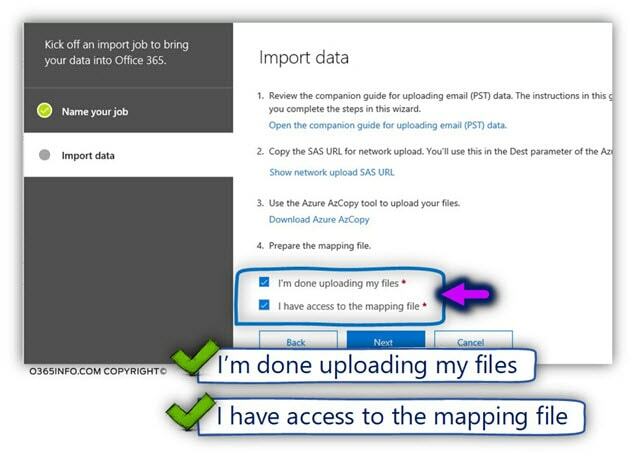 I tried both manual way that you explained above and an automated solution like SysTools Import PST to Office 365. Both of them helped me to import pst files to Office 365. The automated solution was fast and I was able to add multiple PST files within few clicks.